Hearthstone Closed Beta Now Live! If you are interested in the basics, there is a nice post on the HearthPwn forums here. You can also discuss things in our Hearthstone forum. Here’s a card we’ve been dying to play: The closed beta test for Hearthstone: Heroes of Warcraft has begun in the Americas region! During the closed beta test, we’ll be inviting a range of duelers from our opt-in pool (along with folks from press and fansites) to try their hand at Hearthstone and let us know what they think. There’s no NDA during the beta, and we’d love to hear all about your epic victories, watch your live streamed matches, and see screenshots and videos sharing your experiences with the game. Please note that Hearthstone is still in development, and what you see and play in the beta test isn’t necessarily representative of what to expect in the final game. Want to participate in beta testing Hearthstone? Read on! How do I opt in to the closed beta test? 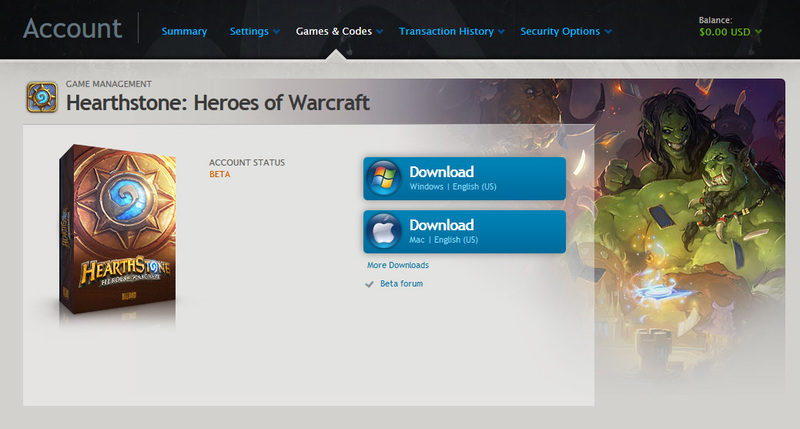 Once you’ve set up a Battle.net account, you can choose to opt in to our beta test from the Beta Profile page. You’ll need to download and run the System Check tool to attach your computer’s specifications to your beta profile. Once that’s complete it’s simply a matter of waiting for an invite. You can also opt in through our website here. How do I know if I’m selected? We’ll send you an email letting you know if you’re selected. The email will contain a beta key—just follow the instructions inside to get started. As always, please be aware of phishing attempts—falsified emails sent by unscrupulous individuals purporting to be from Blizzard, but their real goal is to steal your login credentials. For more information on how to identify these emails, please refer to our Battle.net Security site. One easy way to ensure your invite is legit is to avoid clicking on links in any invite emails you receive. Instead, just log in to your Battle.net account and add the beta key from your invite email to your account. 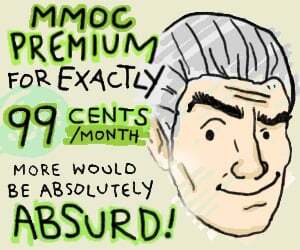 How many players do you plan on inviting to the beta test? The number of players we invite to the Hearthstone beta will be based on our testing needs. During the course of testing we’ll be inviting additional opt-ins as necessary in waves. 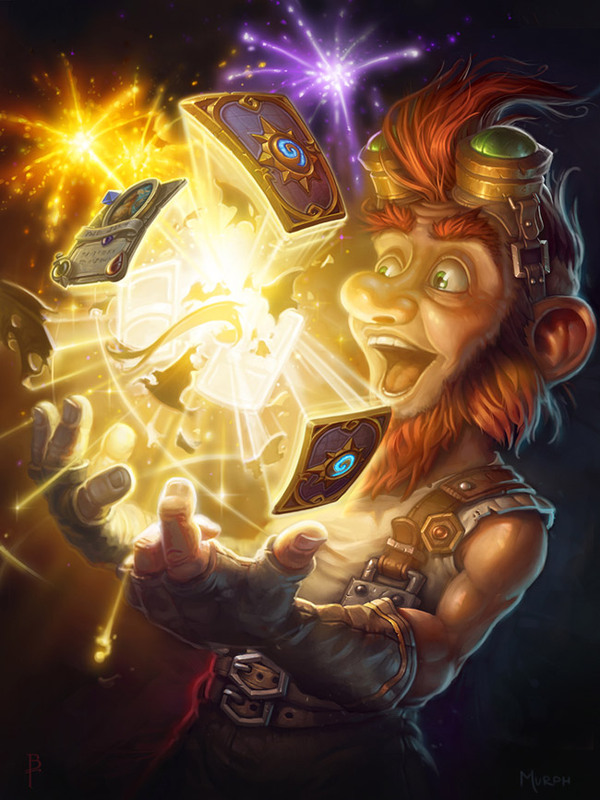 There is no NDA for the Hearthstone beta test. Take screenshots, live-stream matches, record movies—whatever your heart desires! Please keep in mind that the game is still a work in progress, and we appreciate your understanding when you encounter bugs, graphical errors, or other issues. Help us create a better game for everyone to enjoy by reporting them here! How long will the beta test last? We have not determined an exact date for the end of the beta test. We’ll post a notice when the beta test is nearing completion. Do I get to keep all my beta cards? We are planning to wipe all player collections partway through the closed beta. We anticipate needing to rebalance some cards based on the feedback we get in the closed beta, and recognize that players may have made decisions on which cards to disenchant or craft based on information that’s changing. After we’ve completed that wave of balance testing and wiped cards, we do not anticipate needing to reset collections again. Players who purchased card packs or Arena entry with real money prior to the collection wipe will be credited back with an equivalent amount of gold following the wipe, which can be used to re-purchase packs and/or Arena entry to re-establish their collection. These packs will not contain the same configuration of cards as the packs acquired previous to the collection reset. Our friends over at HearthPwn have been busy keeping the site updated through Alpha and creating some guides and other resources for you!